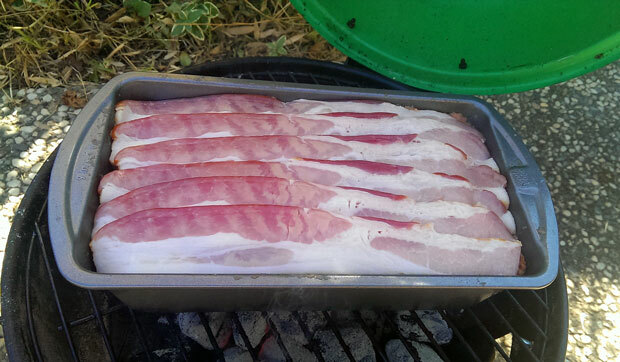 The bacon strips add flavor and ensure that the mixture does not dry out. 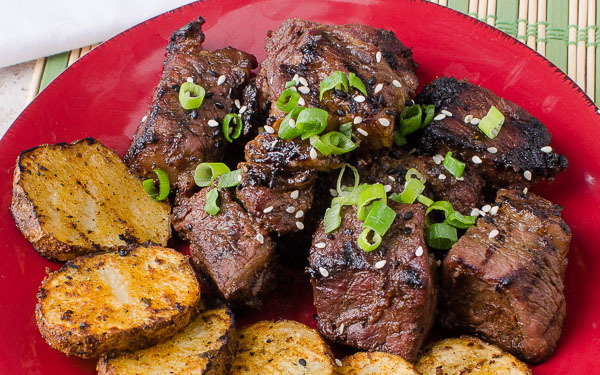 I intentionally kept it simple with just a few ingredients you can easily pick up from the grocery store and assemble into a tasty rendition of this American classic. It tastes as great as it looks! 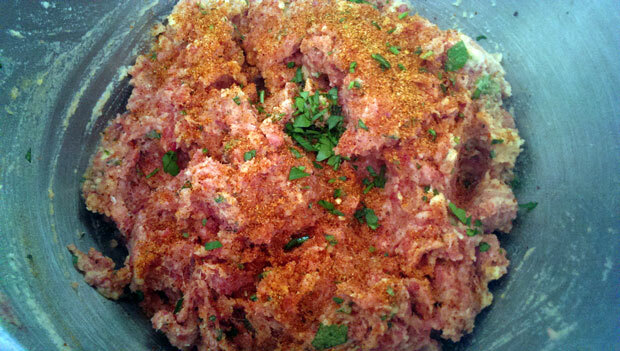 Chopped Italian parsley (optional) Meatloaf was attacked before I could take final photos! Let it cool 20 minutes. Slice and serve with an extra drizzle of BBQ sauce It was wolfed down fast! Think I can nail the grilled meatloaf. 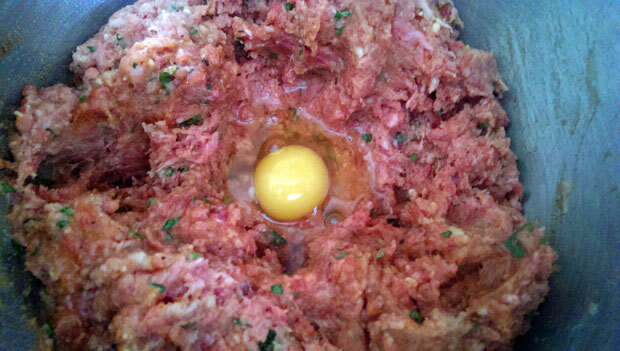 – obviously good quality ground meat, I use ground beef, ground pork and ground sausage, but for mine the ingredient that completes the flavor profile is minced sweet Maui onion and a mild pepper, Anaheim or Parsilla are just right. I made this tonight on my Kamado Joe and it seemed really mushy. 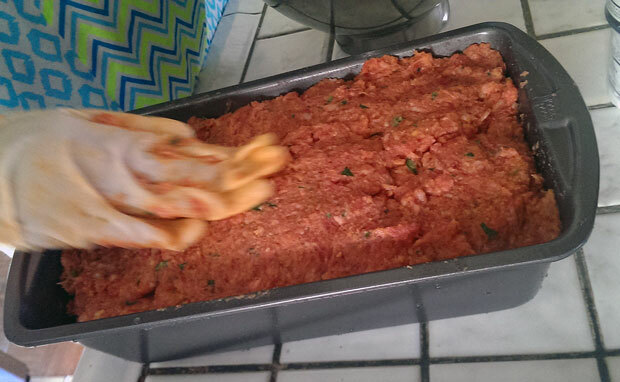 While I was cooking I noticed that my pan was full of moisture/juice as the meatloaf cooked. Should I have sucked this out as it cooked? I had it going at about 280-290 for about 1:30. Yes, if you see a lot of juice and fat, you can use a turkey baster to remove the juice. You can defat the juice and use it to make gravy if you like. 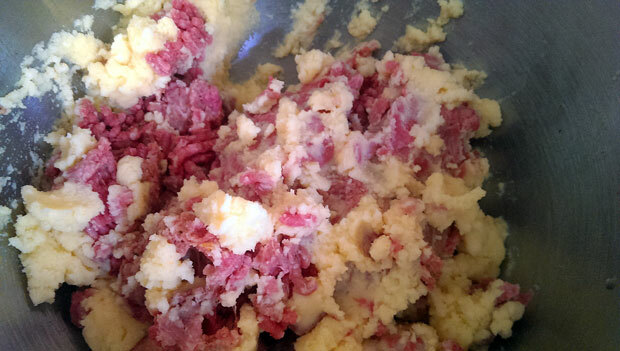 If the meatloaf is mushy, reduce the amount of potatoes until you get the consistency you like. The amount of potatoes, for the consistency you like, will vary by brand so feel free to experiment. Harry – Would this ruin the seasoning of my Weber bullet? I’ve only cooked chicken/pork/brisket in it. 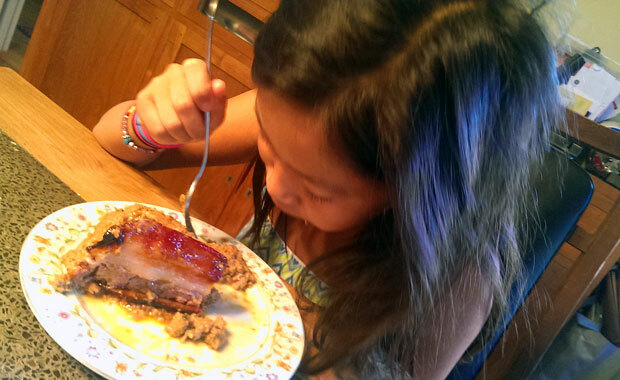 Meatloaf does not have nitrites (hot-dogs) nor fish oil so you’ll be fine. Harry. I know i ask a lot of fo questions and thank you for answering them. 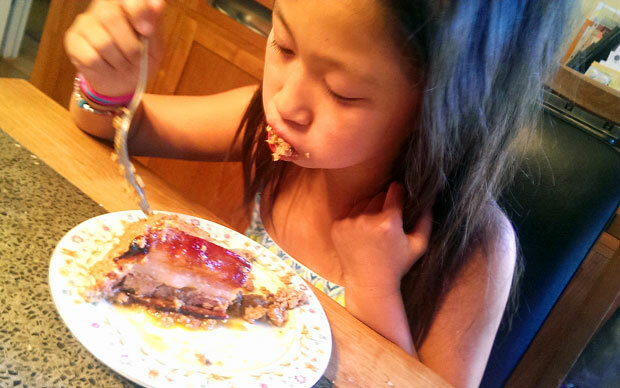 The meatloaf was great and the bacon carried most of the smoke flavor. I didnt use a pan and it was still very juicy and perfect. How can I increase the smoke ring? Even the bottom of the loaf was exposed to the grate and smoke but there was very little ring. Any tips? Should i spritz it like you do with boston butts? I only used 1 chunk of applewood. My fear of using more is that i would add to much smoke to the bacon, since it already carried lots of the smoke flavor. First, the smoke ring has no flavor. 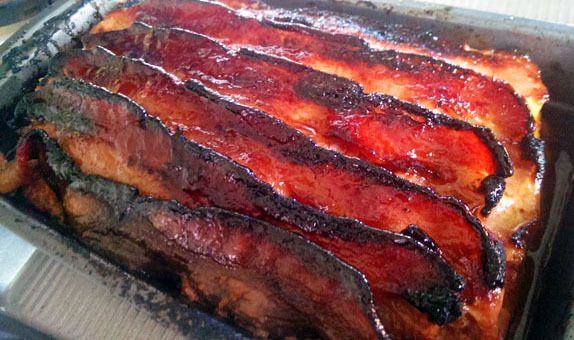 Two, if takes 7-12 hours to get a nice smoke ring so I don’t expect your meatloaf to look like a brisket! If you find a way, please let me know! LOL! Shows how little i know lol. How do i upload pictures? Would like to dhow you the results! please send pics to [email protected] Thanks. Ok ill send pictures tomorrow. I just read the instructions again and totally forgot to add water!!! It still turned out REALLY good though haha. sent the photos to you, hope you received them. Success! 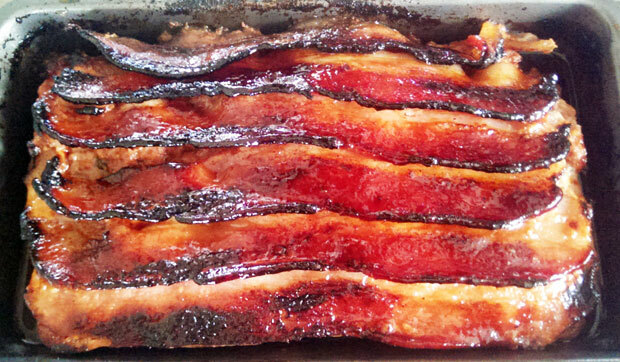 I folloed the recipe exactly and made sure to get nitrate free bacon too. The onky thing i did differently was i put the meatloaf in nonstick pan and used a large spatula to pry it from the sides. Then i flipped it upside down on the top grate. I used 1 tennis ball sized of apple wood. I currently live in minnesota and meatloaf is a really big deal here. 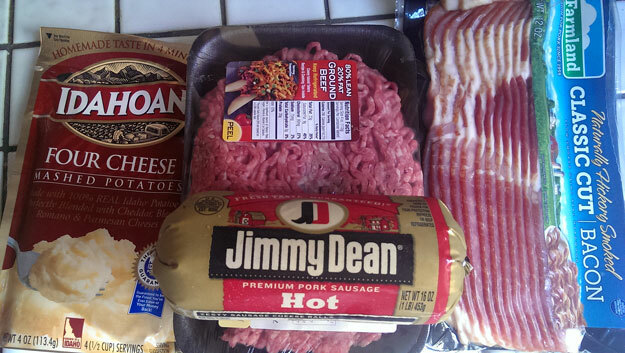 Our friends daughter just passed away and brought them asomsome for dinner… the husband looked at me right as bis wife was lookong away and with a wink* said,"your meatloaf is second to my wives.".. Thanks Harry for spreading bbq love. I look forward to sharing this with our church this saturday, I’ll be making 6 of them. Forgot to sag i took the non stick pan off aftee i flipped it over. I added bacon like you did to the top. So it was just the meatloaf/backn and grate. It was still auper moist and perfect.